Blue Sky Blinds Shades Shutters & Drapery is a custom window coverings team delivering stellar projects to happy clients for nearly 25 years. Our shop at home service includes free estimates and expert installations throughout San Diego. We offer Hunter Douglas, Castec, Century and Graber window coverings as well as custom drapery and other soft treatments to complete and compliment your home or office. Blue Sky caters to your interior plantation shutter needs using multiple vendors for custom applications. We measure and install our vendors premium product for free...(yep..FREE) poly vinyl or wood... we got you covered. We have been in business since 1999 and are a total full service business. We do commercial and residential and provide 100% Guarantee that you will love our design sense and how we will meet your needs. We represent many different companies that all provide top notch customer service. Lessler's Draperies & Design Inc.
Lessler’s Draperies and Design, Inc. has been family owned and operated since 1959. We have the largest selection of window coverings, window treatments, blinds, shades, and draperies, both interior and exterior, in San Diego. Enhance the beauty of a room and save on energy with new draperies and window blinds! At The Drapery Shop, we offer hundreds of fabric choices for a complete line of window treatments. 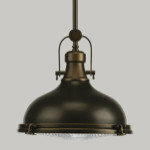 Candlelight Systems has specialized in Motorized and manual shading solutions for 30+ years. We are proud to offer: Roller shades, Roman shades, Natural and Woven shades, Blinds, Shutters & much more. Serving Carlsbad, California and the surrounding area, Pacific Installers is your one-stop source for all your interior design and home decor needs, including custom window shades, shutters, and more. Sew Bella Home is a professional in-home custom window treatment, soft furnishings design and fabrication studio. Suzy's love of design, colors, and fabric began many years ago while taking classes for re-upholstery, quilting, window treatment design and fabrication. Her work and dedication to customer service goes “beyond expectation of what you were looking for”. The designs are completed with you, the client in mind; it reflects the way you live, in a color, pattern and silhouette that correlates to your personality and evokes the feeling you want your home – your most intimate space–to inspire. From window treatments, upholstery, and bedding to the smaller details such as pillows, every element plays an important role in creating an overall room design that transforms your house into a home that represents you, soothes you and speaks to you. It becomes your place for relaxation, escape or entertainment. French Custom Shutters, Inc. is a family owned corporation. Founded in 1977 and structured to produce furniture quality custom wood shutters, plus woven woods, soft woods, roller shades and more. Recently featured in San Diego Home & Garden: <a rel="nofollow" target="_blank" href="http://www.sandiegohomegarden.com/March-2017/A-Plan-A-Plot-Aplomb/">http://www.sandiegohomegarden.com/March-2017/A-Plan-A-Plot-Aplomb/</a> It’s almost a given these days that a company will only be as good as its people and the people are what makes the difference. While serving in the Marines, company owner Matt Geans experienced and observed what the power of Leadership based on taking care of your People does for achieving a Goal placed before a Team. To achieve our Service and Value Goal of “What is in the best interest of our Client?”, we strive for a heightened teamwork atmosphere where our employees enjoy where they work and what they do; with the confidence that their company places their well being up there with the Customer Satisfaction we expect our employees to provide for our clients. With this approach Legacy Shading seeks to stand out in our industry with a Genuine Care for each project because at our company, our people come to work knowing that we genuinely care for them, they genuinely care for the client. At North County Blind Company, we take window fashions seriously. We can provide treatments that capture the sun’s warmth and add architectural interest to your home. SD Blinds & Design is a Full Scope Interior Design Firm. We do everything from accessorizing to full remodels. No project is too big or too small. 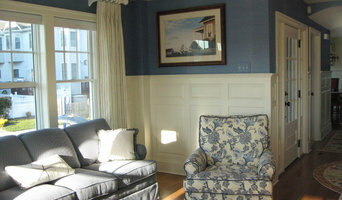 We specialize in Window Coverings. 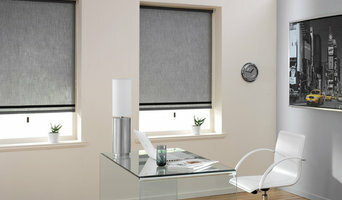 We offer blinds, shades, shutters, draperies, and more. We are authorized dealers for manufacturers such as: Hunter Douglas, Graber, Horizons, Skandia, Century, JC, Comfortex, and more! 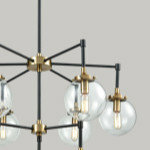 We also offer many specialized lines of furniture, lighting, flooring, fabrics, upholstery, art and accessories. 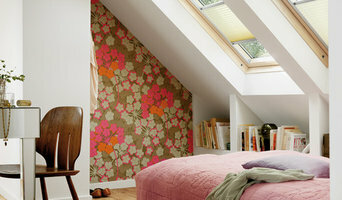 Beautiful and Stylish Window Coverings, Bedding, Blinds and Shutters for every Budget. Leslie's latest venture, ShadeWorx Solutions was created with the end consumer in mind. Offering impeccable customer service, factory direct pricing and industry leading warranties, ShadeWorx Solutions is ready, willing and able to assist with any of your window covering needs! 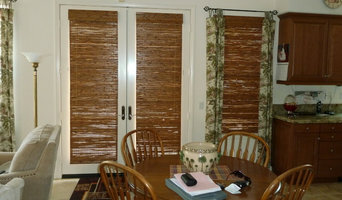 ShadeWorx Solutions can assist you with Blinds, Shades, Shutters, Install and Custom Draperies! Our prices are fair and our customer service is what we pride ourselves on! Give us a call! Family owned & operated since 1959 Lessler's mission is to improve your life by creating innovative environments in your home & business. We do this through automated window treatments that create your perfect environment of temperature & light & can be pre-programmed to just about any event or time. Drapery fabrics that clean & filter the air that you & your family breathe all while looking fabulous. Motorized awnings & Pergolas that automatically retract with the wind & bring the outside inside year round To learn more about the products we offer in our showroom view our Youtube channel: <a rel="nofollow" target="_blank" href="https://www.youtube.com/watch?v=KkLiXMZCiOM">https://www.youtube.com/watch?v=KkLiXMZCiOM</a> Give us a call today & let us know how we can improve your life. San Diego Shade is a licensed contractor with on staff experts specializing in window treatments. We manufacture our own products and carry all the major brands to provide the best window treatment options in San Diego. San Diego Shade has provided services to some of the largest commercial clients including UCSD, Thornton Hospital, El Cortez Hotel, SAIC, and the U.S. Navy. We’ve also provided services to thousands of residences in San Diego over the last century. After nearly 100 years, San Diego Shade is still going strong, a testament to its legacy of providing great value, treating people well, and staying true to its word. Are you thinking breezy gauzy linen? Sheer beauty that makes you feel like a vacation? 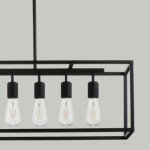 Beautiful neutral and textural simplicity? Or are you feeling more bold, striped drama, or simple and sublime? Modern and understated? With years of being in the industry, I can help you transform your room to reflect your personal style with custom window treatments. Let's have fun and take the guess work out of how to treat your windows right! Call me for a consultation chat at 760-521-0579. 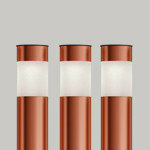 SMITH & NOBLE is America's leading resource for window treatments. In business since 1987, SMITH & NOBLE has outfitted over 8 million homes. SMITH & NOBLE sells a variety of custom window coverings including wood blinds, natural woven shades, roller shades, shutters, draperies, honeycomb blinds and much more.